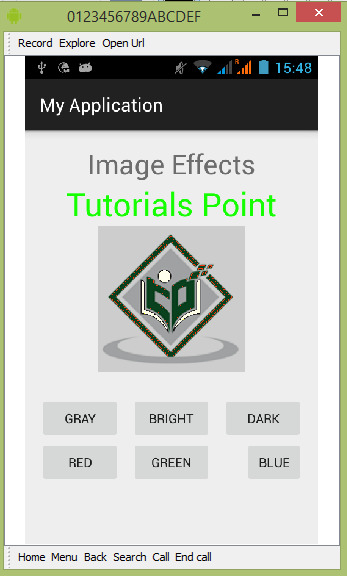 Android allows you to manipulate images by adding different kinds of effects on the images. You can easily apply image processing techniques to add certain kinds of effects on images. The effects could be brightness,darkness, grayscale conversion e.t.c. Android provides Bitmap class to handle images. 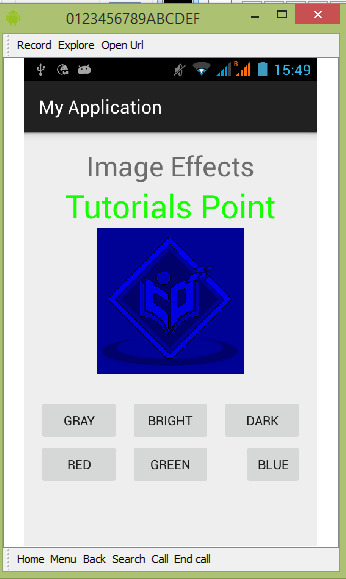 This can be found under android.graphics.bitmap. 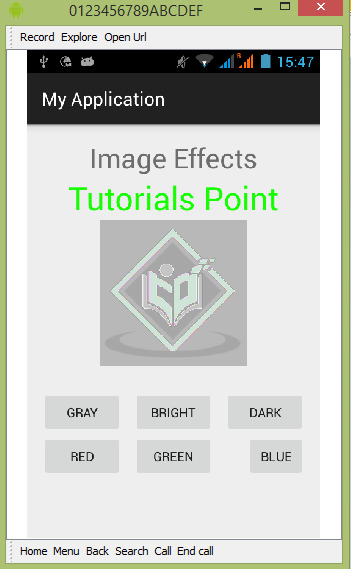 There are many ways through which you can instantiate bitmap. We are creating a bitmap of image from the imageView. The getWidth() and getHeight() functions returns the height and width of the matrix. The getPixel() method returns the pixel at the specified index. Once you got the pixel, you can easily manipulate it according to your needs. 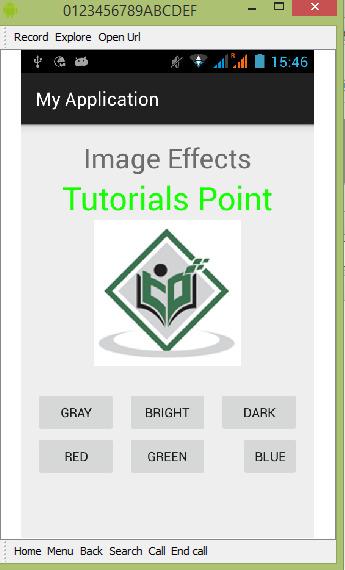 Apart from these methods, there are other methods that helps us manipulate images more better. The below example demonstrates some of the image effects on the bitmap. It crates a basic application that allows you to convert the picture into grayscale and much more. 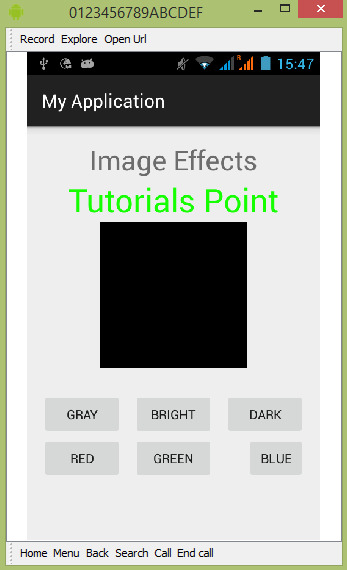 1 You will use Android studio to create an Android application under a package com.example.sairamkrishna.myapplication. While creating this project, make sure you Target SDK and Compile With at the latest version of Android SDK to use higher levels of APIs. Now if you will look at your device screen , you will see the an image of android along with three buttons.